Herculaneum is one of the major archaeological sites of the ancient Roman world. Like Pompeii, it was buried by the eruption of Vesuvius of the year 79. It was a port city, smaller than Pompeii, but better preserved because it was buried by volcanic mud. 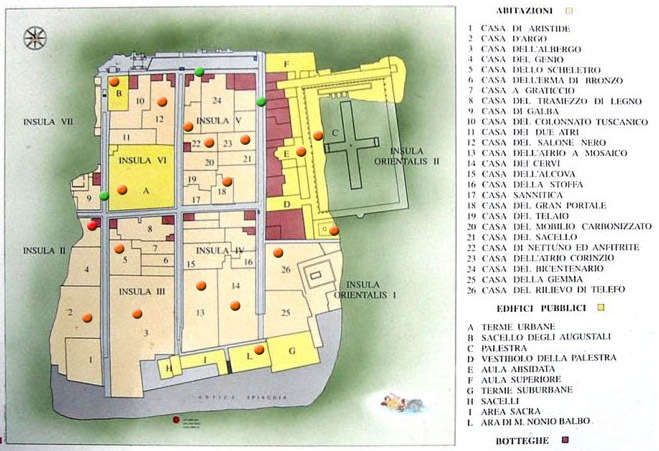 Since 1997, the site is classified by Unesco, with the ruins of Pompeii and Oplontis.